A magnolia tree is a deciduous, or evergreen, tree that grows in tropical to temperate regions of North and Central America and East Asia. Magnolias belong to the Magnoliaceae, or magnolia, family and are well known for their fragrant flowers and attractive foliage. 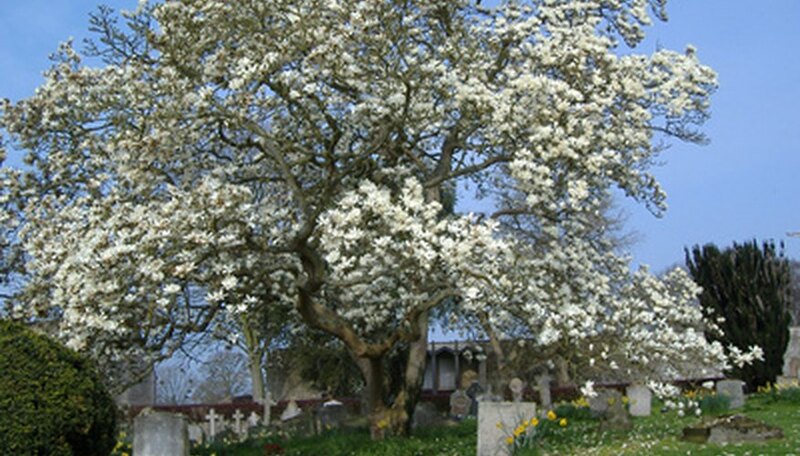 It is not uncommon to find magnolias as showcase specimens in private and commercial landscapes. The name "magnolia" denotes an entire plant genus appreciated for the beauty of its flowers and foliage. According to the Oxford English Dictionary, they were named after Pierre Magnol in 1748. Magnol was a physician and a botany professor in Montpellier in southern France during the 17th and 18th centuries. The most apparent use of magnolia trees is for landscape design. They can be focal points of a landscape and can provide shade in sunny areas of a yard. Beyond its beautiful display, magnolias have other uses. Their flowers, fruits and foliage are harvested for floral arrangements, and the trees are used for medicinal purposes and for timber, according to the University of Florida IFAS Extension. 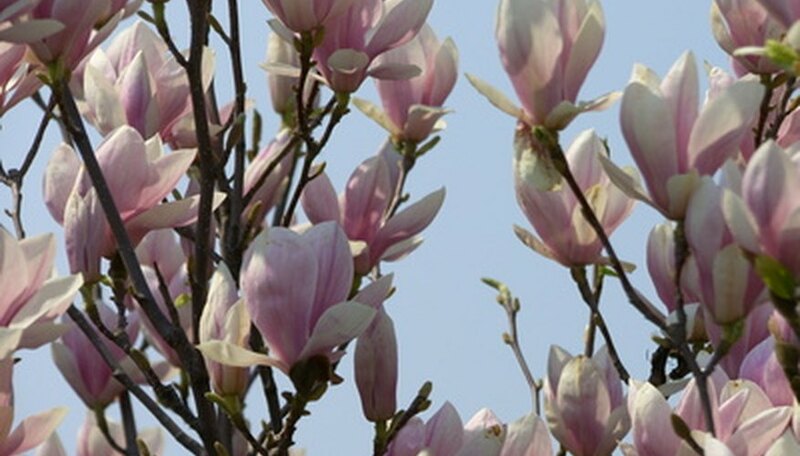 According to Plants For a Future, Magnolias are known as "Hou Po" in traditional Chinese medicine, and some of the medicinal properties of the flowers and bark include antibacterial, digestive, diuretic, antispasmodic, expectorant and ophthalmic uses. You can coordinate magnolia trees with the rest of your garden by selecting them based on the color of their flowers. Magnolias bloom in shades of pink, purple, yellow, green and white. Once the flowers fall, the tree produces another phase of color with its vibrantly colored fruits that add splashes of red, green or pink to the tree's foliage. Southern magnolia (Magnolia grandiflora) is an evergreen that grows in the southeastern United States. The tree's foliage is oval, and it can grow up to 80 feet tall. Southern magnolias grow in full sun to partial shade, and they thrive in well-drained, moist soil. Southern magnolias produce dark green leaves that have a leathery feel and fragrant, creamy white flowers that bloom in summer. The lower branches grow very low, sometimes to the ground. Once the flower petals fall, the tree produces red seeds in the fall. Also known as mountain magnolia, yellow-flower magnolia, cucumber tree and yellow cucumbertree, cucumber magnolia can grow 100 feet tall. It is considered the hardiest of magnolias. This tree produces yellow flowers from mid-spring through mid-summer and is often used in park grounds. It is also harvested for furniture and other wood products. A smaller magnolia tree with an oval shape is the sweetbay magnolia. Sweetbay magnolia (Magnolia virginiana) grows up to 20 feet tall in northern climates and more than 60 feet tall in warmer, southern climates. The sweetbay magnolia grows in full sun to partial shade and prefers moist, nutrient-rich acidic soils. This tree produces cream-colored, fragrant flowers that bloom from late spring through summer. The two sides of its leaves have different tones of green, and the tree produces green fruit that turn brown as fall approaches. Magnolia trees are fairly hardy against disease and pests. Their roots can, however, be affected by nematodes. The trees can be susceptible to leaf spots, powdery mildew, stem cankers, verticillim wilt and root and wood roots, according to the University of Florida IFAS Extension.